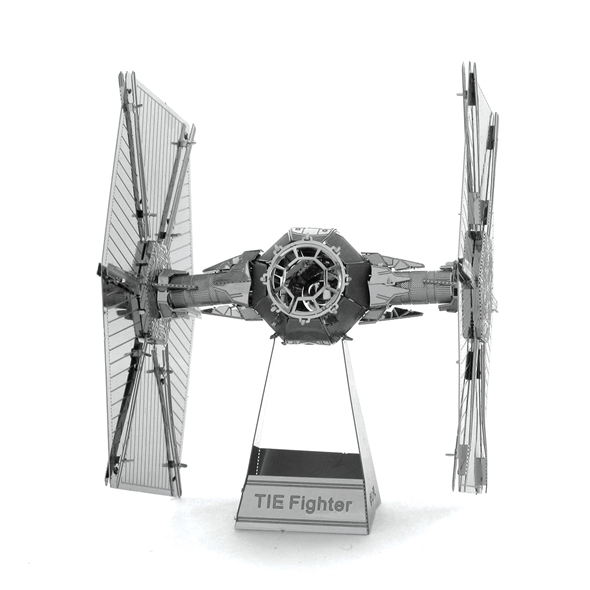 May the force of patience and steady hand eye coordination be with you when your building this spectacular TIE Fighter Model kit. 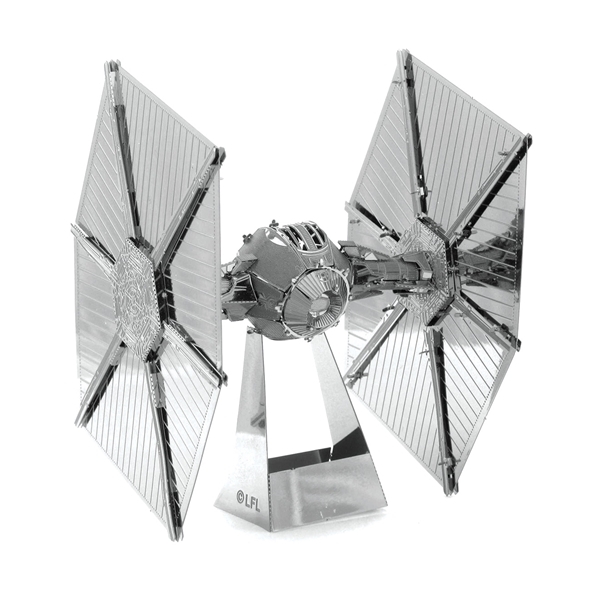 If you enjoy Star Wars or model making, then this Model kit is perfect for you! 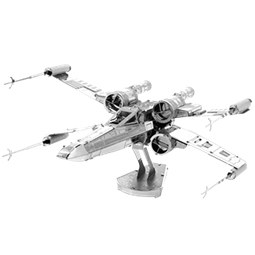 There's no glueing, soldering or The Force required to build this Model kit, just simply pop the pieces out and fit them together, it's that simple! 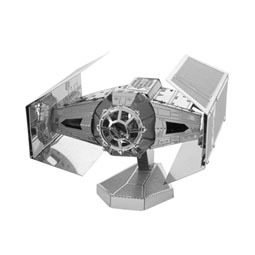 All of our model kits start off as two sheets, and with a little bit of skill, a lot of patience and a few rage induced tantrums you'll have yourself a spectacular Model Kit! 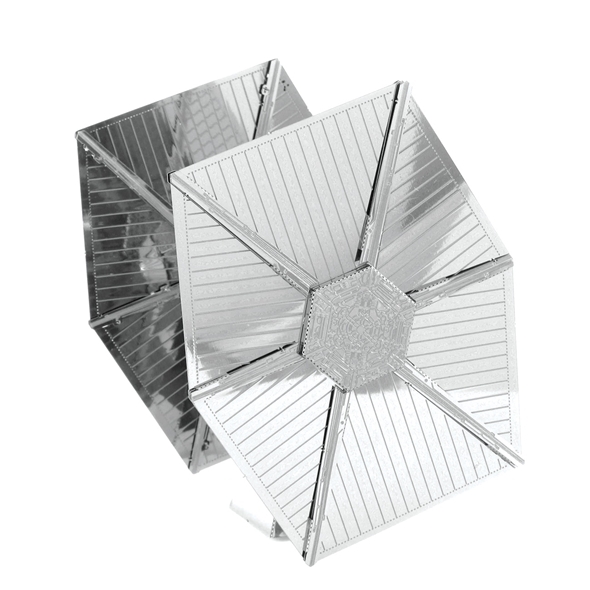 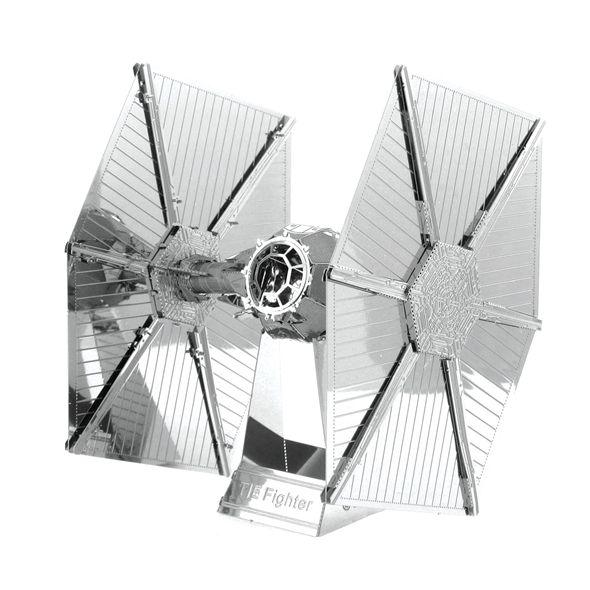 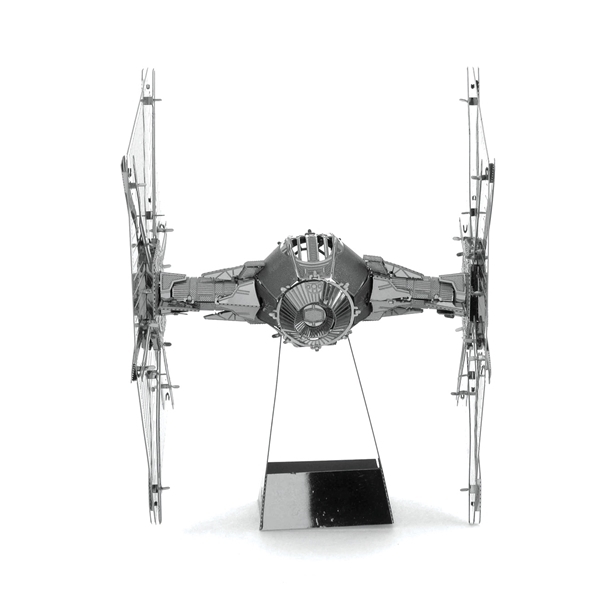 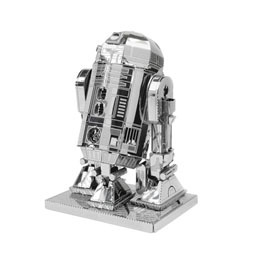 You will feel quite a sense of accomplishment, seeing your beatifully crafted Tie fighter Model on the matelpiece glisten when the light shins on its metal surface. 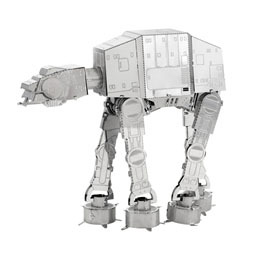 So if you're a fan of the legendary sci-fi movies or your a keen modeller this Model kit will be perfect for you!